•	GCA urges the BOS to vote in favor of the resolution supporting the rehabilitation of the Waterloo Bridge. 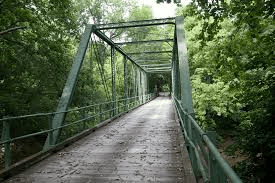 •	Good citizens and the community have joined together to protect and preserve the bridge’s historic heritage in a cost efficient and economical manner. 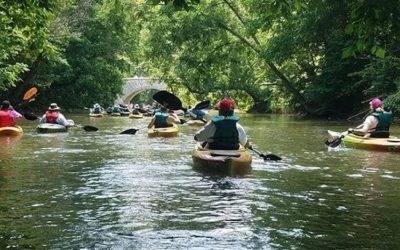 •	A vote in support of the resolution is a vote for preserving the historic character of our countryside and local roadways. For these reasons, we urge the Board of Supervisors to vote in favor of the resolution supporting the rehabilitation of the Waterloo Bridge. 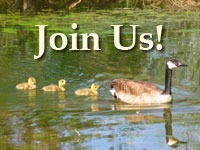 1 The Goose Creek Association (GCA) is charged with monitoring stream water quality, proposed developments, zoning changes, and other actions that have potential impact on the environment and quality of life in the Goose Creek watershed in Fauquier and Loudoun Counties, VA. We are a nonprofit 501C3 organization with hundreds of members who share a determination to protect and preserve the natural resources, historic heritage and rural quality of life found in this beautiful part of Virginia.